Say thank you, happy birthday, congratulations, or get well soon with this gorgeous pink, yellow, white, and blue confection. 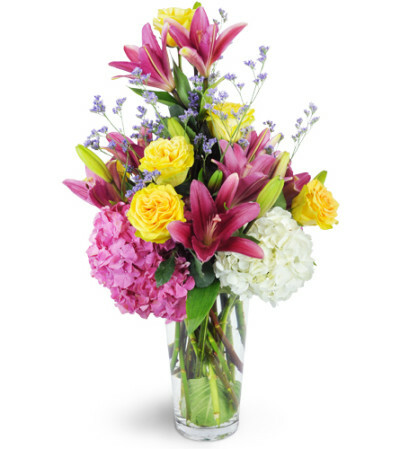 It can be spring time all year long when you send white and mauve hydrangeas, yellow "finesse" roses, mauve lilies, and beautiful blue caspia to do the talking for you! 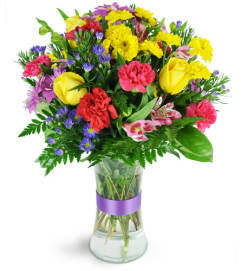 Put some "spring" in someone’s step today with this stunning bouquet. Featuring hydrangea, lilies, fabulous "Finesse" roses, and more in an impressive display! 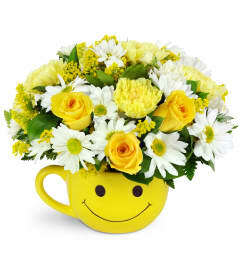 Beautiful arrangement for someone dear to me. It was perfect & delivered on time! Great job. Same day delivery!! 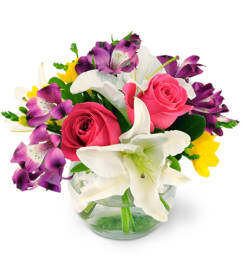 R & S Crafts and Florist is a Lovingly Florist in Pensacola. Buying local matters. Discover how Lovingly supports local florists. Copyrighted images herein are used with permission by R & S Crafts and Florist.